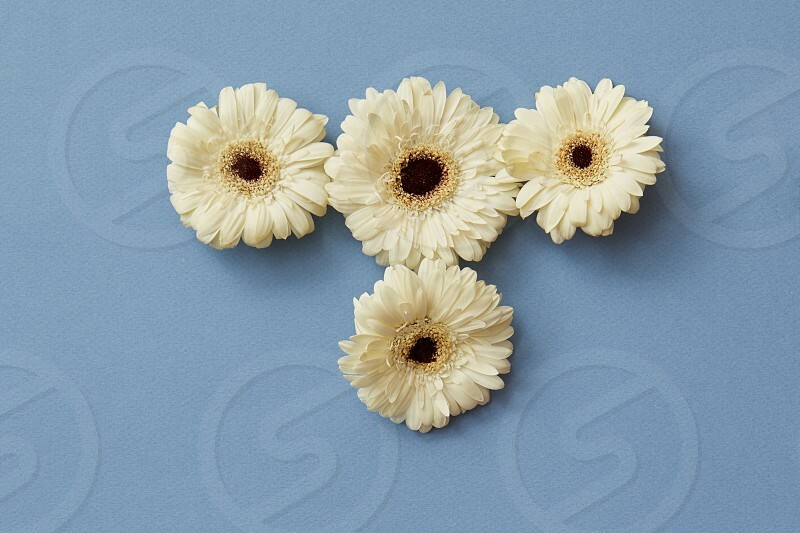 White gerbera flowers in the form of a figure from a tetris game, on a blue paper background. Minimal spring concept. Flat lay.